Storm Damage, a Job for the Pros! The most common elements of storms that cause physical damage to buildings often requiring repair are wind, lightning and precipitation. 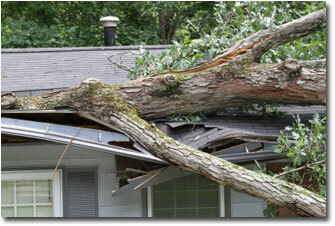 Winds can cause everything from the loss of a few shingles to the loss of an entire structure. Lightning causes fires and damage to electrical devices within the structure. Precipitation in the form of rain can caused direct damage if a roof or windows are lost or indirect such as flooding during heavy rainstorms. During the winter there is also danger from ice jams forming on rivers causing them to flood as well. The Enhanced Fujita Scale, used for rating the strength of tornadoes based on observed damage, can give us an estimate of what speeds the wind reach before measurable damage is a reality. In wind speeds up to only 83 miles per hour chimney damage becomes a common indicator. 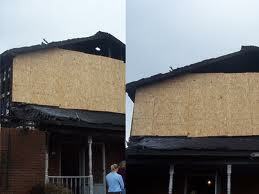 From 84 to 113 miles per hour we start to see significant losses of shingles and even entire roofs being peeled off. Over that speed we see entire roofs being ripped off of frame structures. Precipitation in the form of rain, snow, ice, hail and floodwater are all capable of causing significant damage. The biggest danger from rain is entering though a damaged roof, broken window or if it causes flooding. Snow in some areas can actually build up to depths capable of collapsing entire roofs or structure. 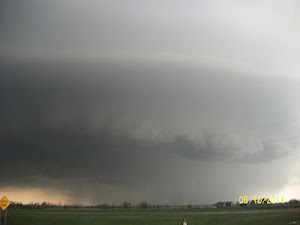 Hail, depending on its size and if there is significant wind associated with storms can break windows, destroy shingles and damage metal roofs. On average over 100 Million lightning bolts hit the United States every year. In January, 2008 the “National Fire Protection Association” released the results of a study showing that between 2002 and 2004 Fire Departments in the United States responded to about 31,000 fires each year that caused over $213 Million in damages during that period. Lighting strikes are a common source of structure fires during storms. 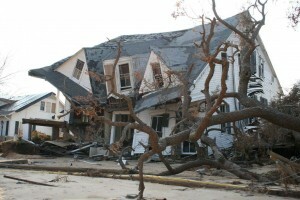 For your own protection talk to your insurance agent, having them explain exactly what your coverage is for storm related damage to your home or business, now is the time to find out not after you have suffered damage. Find out the proper procedure you have to follow after damage occurs to get it covered by the insurance company as soon as possible after a loss. 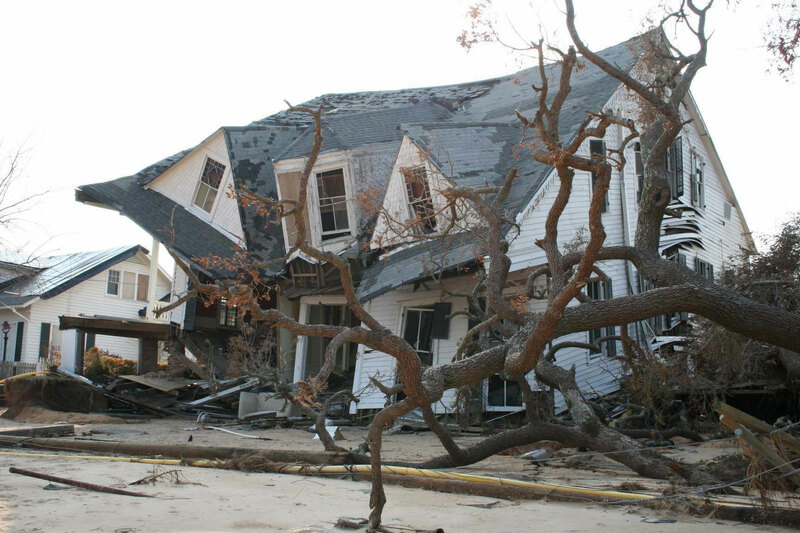 If your insurer requires multiple estimates before repairs can begin, do your homework and have a couple of storm repair businesses with good reputations set to call in the event your home or business is damaged. Businesses specializing in storm damage are your best bet for getting the specialized care you need to protect your investment.